Persimmons for me have that special nostalgic power that certain foods or smells or tastes imprint onto children’s brains. For me, it takes me back to Japan, to my grandparent’s house just outside Tokyo. I can see these plump, orange fruits lined up along the wide windowsill, ripening, with the heater burning away underneath. They were taken off the tree before the crows got to them and would be eaten only once they had become jammy and you could slurp it up with a spoon. In Japan, it’s also very common to preserve persimmons by drying them out, and even in the Edo period they used fermented persimmon juice to waterproof paper umbrellas. The sight of persimmon trees in the winter is always a surprise – naked branches, except for this plump, bright orange fruit, adding splotches of colour against an often misty, bare landscape. 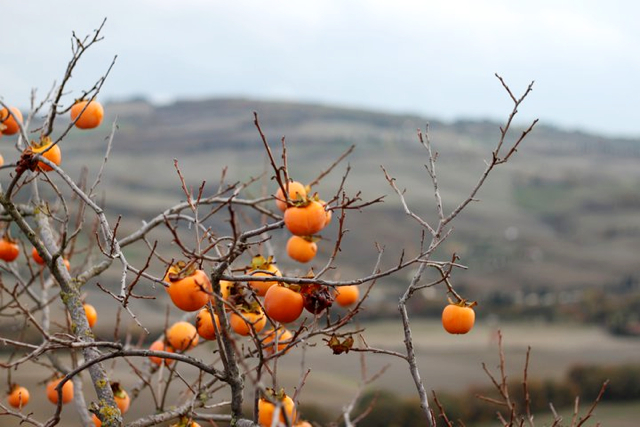 I was really surprised when I first moved to Italy to find that not only were persimmons everywhere to be seen here in the winter, but that they were called cachi – exactly the same as their name in Japanese, kaki. In reality, they are an Asian fruit even though Europeans have known them for a while – the Ancient Greeks called them the “fruit of the gods,” and they were a hit in Italy when they arrived in the 19th century. If they are even slightly unripe they have a really astringent quality (think of a really, really dry red wine) that make your lips pucker, so they are best used when they are overly mature and become sweet and fragrant, which is when they are also perfect for making into jams and cakes. If you get them when they are still hard and unripe, just leave them where they are exposed to light (frost will help too, if you have a windowsill or a place outside to put them) until they ripen. They can get very, very soft before you use them. 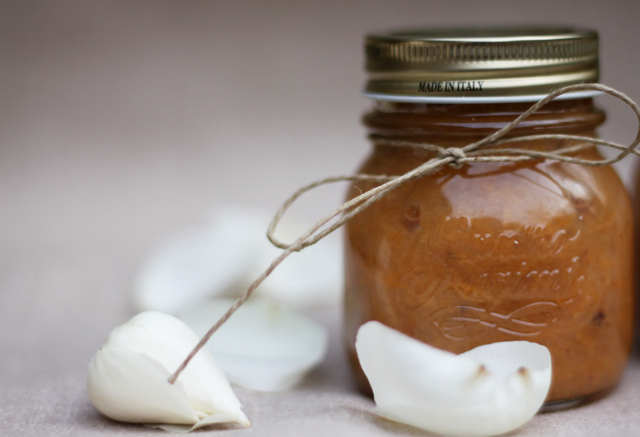 This year we were given a bag of ripe persimmons from my husband’s grandmother’s tree, which was promptly made into jam with some apples and a bit of ginger. While visiting my lovely friend Rosa over the New Year near Trento in the north of Italy, we made a cake out of persimmons from the tree in the garden that was so delicious I had to copy down the recipe. 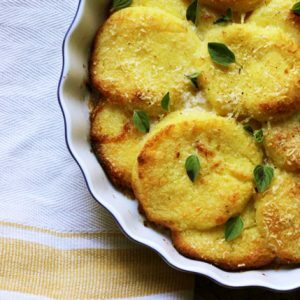 There’s no butter at all in it, but it’s amazingly moist and delicate and so simple to make. We had the added bonus of being able to use hazelnuts from the garden as well, which were just pulsed in a food processor – for those with nut allergies, you can substitute with 100 grams of flour. It will result in a slightly drier cake but just as delicious. Note: I find if you are using exceptionally sweet, ripe, jammy fruit, you can easily cut the sugar down to 100 grams and you may need to bake for 55 minutes. The result will be more pudding-like (to me reminiscent of sticky date pudding) than the cake pictured here but this all depends on the texture of the fruit. 1 packet of dry yeast (in Italy, these are little packages of raising agent for cakes that can be bought in the supermarket. A teaspoon of baking powder and a pinch of salt can be substituted). Preheat the oven to 170 degrees Celsius. Beat the eggs with the sugar until the mixture is light and fluffy. Add the oil in a thin, steady stream while mixing. Then add the lemon zest and the persimmon pulp and mix. Finally, add the flour, hazelnuts and raising agent and mix until just combined. Pour the mixture into a lined and greased cake tin (about 26cm in diameter) and bake for 40 minutes. When cooled, dust with icing sugar. 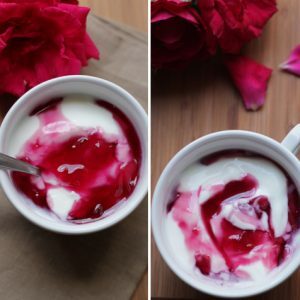 It’s beautiful with a dollop of ricotta or freshly whipped cream. I love reading your site. Your photographs are superb and the recipes are so tempting. I have never heard of ‘Kaki’ cake before. I must try it when kaki become available again. Thank you for your comments, Yumiko! That’s so nice to hear. I had never thought about making a kaki cake before either, but it’s really so good! Do try it when you can get your hands on some persimmons again! emiko, how do I forward your delicious little kaki photos and cake recipe to a friend who is not on facebook but who has access to persimmon tree??? This looks wonderful. We recently moved to a house with a persimmon tree, and I’ve been wondering how best to use the fruit. Thanks Hannah. Persimmons are wonderful if you can let them ripen (along a sunny window sill is a good spot!) and this cake is a lovely way of using them up! Hope you get to try it. The persimmon tree in my garden here in Spain had a bumper crop this year so I was also wondering what to do with the fruit. As they are prone to attach by insects as they ripen (I left them in a tray in the garage having picked them half ripe from the tree to prevent bird attack), I scooped out the pulp from the ripe fruit to store in plastic boxes in the refridgerator. I found that they kept very well, for a week or more. They make wonderful breakfast smoothies using fruit pulp (40%) to soy or normal milk (60%). By the way, although the official name here for the fruit is palosanto, they are also commonly called caqui as well! Nice idea to store the pulp the way you do – it would be perfect for a cake like this one! Smoothies sounds lovely too. really like the pictures, great work! 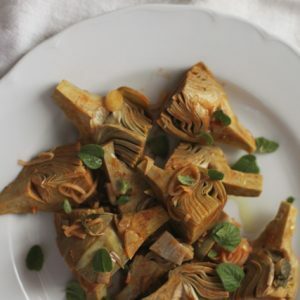 also the recipe looks good, however I’m wondering if you every tried something more complex with kaki? maybe a kind of pie with layers fruit? Hi Chris, I have never done a pie, I’m afraid, I must admit that my favourite way of eating it is when it’s super ripe and soft, with a spoon, using the fruit as its own bowl! But this cake would be my second favourite way of eating it! I have seen people use it in salads and other things, I think it all depends on the quality and ripeness of the persimmons you have. The wild and native American persimmon (Diospyros virginiana) is also delicious. 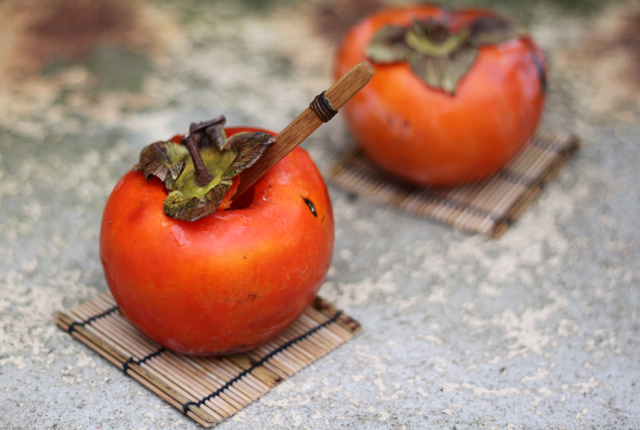 They have a more complex flavor than the cultivated persimmons. Have been making steamed pudding with them for years, thanks to some in-the-know friends. Must try this, it sounds delicious! 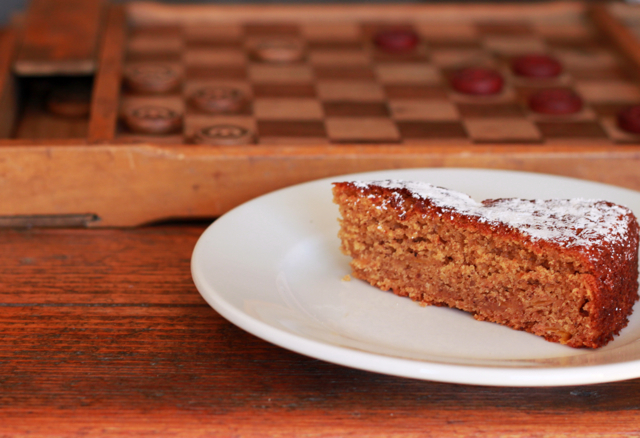 I make an Italian Persimmon Cake with the American type Kaki. I make it early in November and drench it with whiskey. It ages then till Christmas. A friend and I make about 50-75 cakes and mail them all over the world. It is really goo plain too. I did a GLUTEN FREE version of this cake this morning, swapping the wheat flour with 130 gr of rice flour and 70 gr of potato flour. It was so yumm! Thank you ever so much for this recipe. Everyone loved it sooooo much! And it was so much fun making the family guess the main ingredient! And the smell in the kitchen while it was baking…. astonishing! So great to hear, thanks for the feedback! 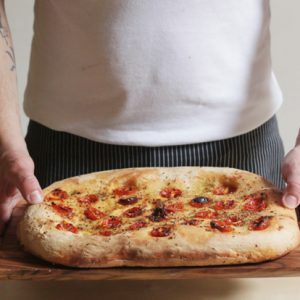 I started this blog in late 2010 to document my passion for Tuscan food traditions as well as to share travel stories and the history behind regional recipes. My third cookbook, Tortellini at Midnight, will be out March 2019. Please note that this website's content by Emiko Davies is licensed under a Creative Commons License.